You've settled on a Huawei device for your next smartphone purchase, but which one are you going to get? The firm put out several handsets last year and is likely to follow suit again this year, so we'll be explaining all the differences between Huawei's phones here. The good news for the discerning Huawei phone buyer is that you've got plenty of options to pick from to suit your needs and budget. We've got the lowdown on how the specs, designs, and features of how these Huawei smartphones stack up against each other. If you want the very best phone that Huawei has to offer right now, the Huawei Mate 20 Pro is it. The huge, gorgeous-looking screen is almost 6.4 inches from corner to corner, it has a fingerprint sensor built into the display, and it's packed with top-end internal components. That includes the super-fast Kirin 980 processor and a whopping 6GB or 8GB of RAM. You get the latest version of Android 9 Pie too (with Huawei's EMUI layer on top), and a triple-lens rear camera that gets results better than any previous Huawei phone camera. So why wouldn't you buy the Mate 20 Pro? Well the Huawei P20 Pro uses slightly older components but it is cheaper, it is still very, very fast, and it is also capable of taking some stunning photos – thanks to that 40MP+20MP+8MP triple-lens camera on the back. It's perhaps the best Huawei phone for taking photos, because it's not quite as big as the Mate 20 Pro. We also prefer the understated design and camera lens positioning, even if the phone has a bigger chin (with a fingerprint sensor) than the Mate 20 Pro handset. As you step down through the Huawei Mate and P ranges, you pay less money for less powerful specs. The Huawei Mate 20 hits a great sweet spot – a powerful phone, with a large screen, that you can pick up for less money than the Huawei Mate 20 Pro flagship. The latest Kirin 980 processor is here, as well as 4GB or 6GB of RAM, so it'll handle everything you can throw at it. The triple-lens camera isn't as well specced as the Mate 20 Pro though, and the fingerprint sensor is on the back, not embedded in the display. 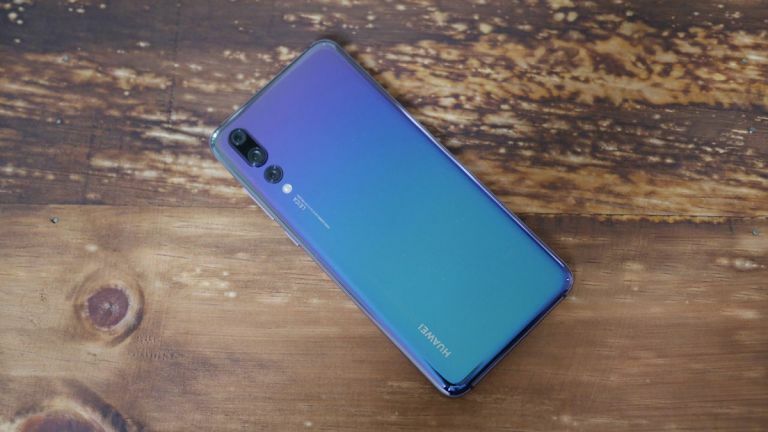 As well as the high-end flagship phones we've mentioned earlier in this list, Huawei also puts out a number of excellent mid-range and budget handsets: some of the great tech and design in the pricier phones is retained, but the specs are taken down a notch. The Huawei Y7 Pro is a case in point – it's brand new, so it might not be available in your local store yet, but it does give you decent design and passable specs for an excellent price – you'll probably want to buy a memory card to boost that 32GB of storage though. As we've already said, as you go down the rungs of the Huawei smartphone ladder, the handsets get progressively less powerful and less expensive. If you want to spend less money but still get a handset that feels and looks top-end, the Huawei P20 is the one. While the specs are just a notch below what you'll get from the Mate 20 Pro and the P20 Pro, this is still a very capable phone – it has the latest Android 9 Pie on board, a dual-lens rear camera that works fantastically well, and plenty of (expandable) internal storage. The Huawei Mate 20 Lite still has plenty going for it, but it's a little lower in our list because its specs and its software are older than most of the other phones in this list. That said, it's still going to take care of most mobile smartphone tasks without too much of a problem. If you want a big screen without the big price, it's well worth a look – just don't expect the quality of photos you can get from the likes of the Mate 20 Pro or the P20 Pro. The phone also looks nice and smart too, with small bezels and a compact notch around the front. The best feature of the Huawei P Smart is probably its design – this looks like a more powerful handset than it actually is. It's not the best Huawei phone, but it's one of the best if you want to keep your spending down to a minimum and still get a good experience. The 6.21-inch screen runs at a perfectly adequate resolution, and the dual-lens rear camera will get impressive snaps most of the time. The processor, RAM and storage are where costs are cut, but overall this is a phone that will serve you well for years.